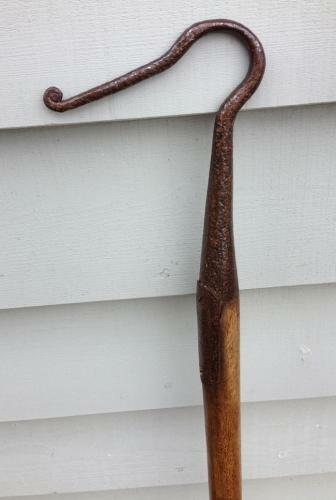 • 19th Cent Shepherd's Leg Crook. Nice short hand crook on original shaft. • Crook L in the multiple pic. • Original Ash shaft with ball end. The shepherd was the highest paid of all the farm workers on a farm - he held the most responsibility looking after the master's flock. This is a leg crook and would have been his everyday working crook. There are also Neck crooks, dipping crooks etc which were used only seasonally.